Christmas is a fantastic time to visit us at Allington Farm Shop, packed full of delicious Christmas goodies, we have your every Christmas need from superb premium Christmas Trees to fabulous, handmade gift hampers and from Brussel Sprouts grown in Sherston to our delicious home reared turkeys and luxury home made Christmas Cakes, we are a one stop Christmas Shop! Orders are now being taken for Christmas in the in-house butchery; our home reared turkeys are naturally matured on the farm, just behind the farm shop, in large open fronted barns on deep straw bedding. Our Turkeys are dry plucked, hand finished and then hung for at least 7 days in cold rooms; a process that preserves the natural texture and enhances the superior flavour of the bird. 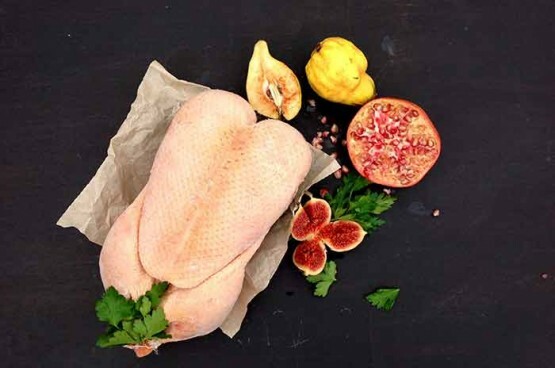 As well as home reared turkeys, the butchery specialises in local free-range cockerels, chickens, geese, ducks and home cooked hams, all cuts of pork, beef and lamb as well as local seasonal game, dry cured bacon and gammon joints and homemade sausages. Place your Christmas meat orders from the comfort of your own home, slippers on, perhaps. We have a reputation for our fantastic selection of the highest quality real Christmas trees. Our Christmas Trees come from independent UK & European growers and we also have a plantation of our very own real trees for sale. If it is a quality Christmas tree that you are looking for then you are in the right place. 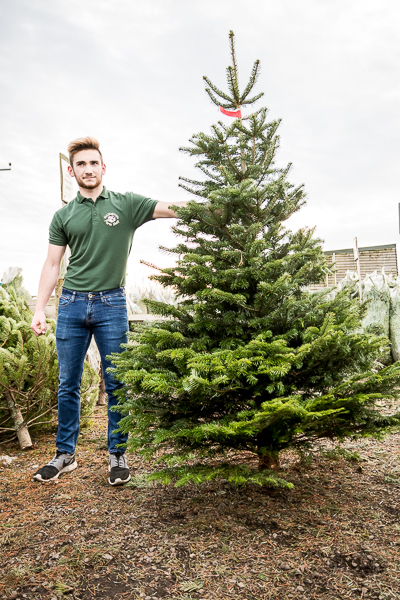 We have a large range of sizes and varieties and both cut trees and pot grown trees. We also stock a range of Christmas Tree Stands. 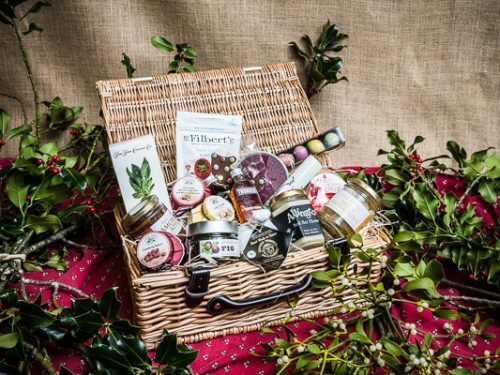 Our fabulous hampers are tailor made to your requirements; there are a huge range of hamper baskets ready to be filled to the brim with the goodies of your choice. We have an extensive range of locally produced goods on sale (any of which can be included) from local cheese, chutneys and biscuits, fine wines, local ales and ciders, preserves, cakes and chocolates to an entire Christmas Dinner! Please pay us a visit, e mail or telephone to place an order.